Wittaya Petchsemeon admitted that since he come in the boxing, boxer in this gym never fight in important match of WanSongChai. Ploywittaya is the first boxer who fights in important match of WanSongChai War on 10 August at WigAir Muay Thai stadium with his old rival, Petchlamsin S.K. 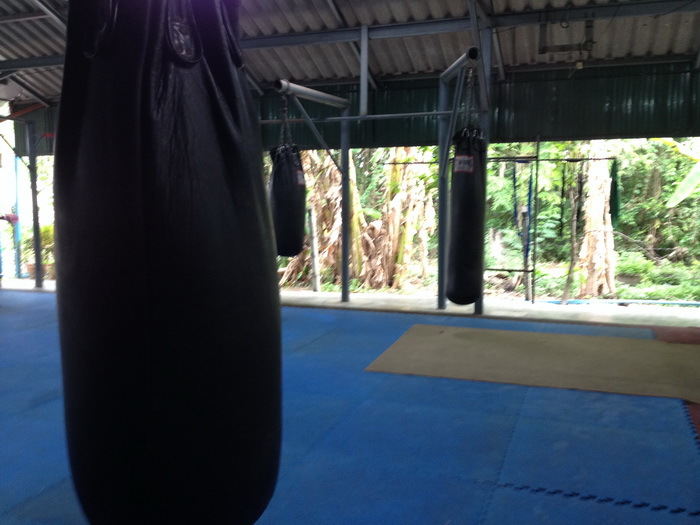 Sukhaikolok Muay Thai camp. He admits this is fight as a honor battle for boxing because he want to fight in important match of WanSongChai War a long time. Wittaya Petchsemeon, a big camp of Petchsemeon open his mind that since he come in the boxing, boxer in this gym never fight in important match of WanSongChai. Ploywittaya is the first boxer who fights in important match of WanSongChai War on 10 August at WigAir with his old rival, Petchlamsin S.K. 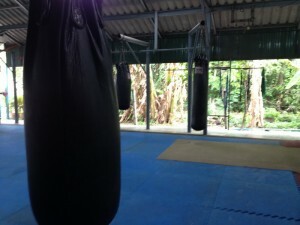 Sukhaikolok Muay Thai camp. He admits this is fight as a honor battle for boxing because he want to fight in important match of WanSongChai War a long time. “In fact, WanSongChai is in my dream for a long time since I was a kid until some boxer fight in WanSongChai War because there are not fight in important match. Ploywittaya is the first boxer who fights in important match of WanSongChai War on 10 August. Although this is not a big program but I fell honored for my boxing history very much for fight in important match of WanSongChai War on 10 July. If it’s not good, Big Song will not set them to fight in important match” Wittaya said. Den Danai Eakwit guarantee the training of Arancahi Kiatitipantarapan is ready to fight Panomrung Kiati Mu 9 in Tournament Muay Thai on Sunday 10August . Panomrung loss the weight 2 pounds for the rival. Although his skill and reputation is vice but he do his best and never give up. Tounrmanet Muay Thai on Sunday 10 August will hold on temporary boxing stadium of The 11th Infantry Regiment for the safety of the king at Banakhen to give the happiness for people. NCPO held this fight with CP. The open match of Meji tournament boxing is Petchtae Petchyindee Academy with Chocknamchai Jakung in the weight 120 pounds and Petchpanomrung Kiatti Mu 9 fight with Aranchai Kiattipattarapan Muay Thai training camp that Panomrung loss the weight 2 pounds for 131 to 133 pounds. Den Danai Eakwit, head of Kiattipattarapan control the training of his boxer in Ubon Ratchathani and said to Muay Siam reporter that this fight Aranchai was training very good. Although his skill and reputation is vice but he do his best and never give up. He has the confident and will not disappear. “He was training fully 100 percent and take care his body very good” Den Danai is confirmed. Boat Nattadet pleased with the new boxer group, King Fighter Kid who fight at At Rangsit Muay Thai stadium in Muay Thai over the past 3 line. Each boxer shows his best forms fully. And Sunday, July 6, is the fight of line D three matches. Tournament boxing King Fighter Kid in the weight 39 kg is the big plans of Boat Nattadet Wachirattanawong who lead the young boxers to fight in 4 lines for 4 peoples with the substitutes of each line two peoples. The fight of three lines divided as A, B and C were finish that each person show their form fully. Many boxers have a chance to be the hope. Boat said that he was pleased to have a chance for create a new kid boxer, Wised group who will be the top boxer in the future. “We are proud and happy because feedback from Muay Thai fans is very good. Everyone fight with their full power and have a good future. For Sunday, 6 July, we are invited you to watch three matched in line D and we will see their form, who will be the hope. The winner will come to the next round and the loser will have a chance in last two fights. For Sunday,August 9th , line D for 4 matches will broadcast is the fight of Supernew Nondaeng Gym with Meoungponlek (the new boxer) Sidkruood, Moddeang S.surapat with Kunsuek Sidwadsrakeaw and Suenoi S.bangkru with Moradok Sidchengrung. It was confirm that Muay Thai on channel 11have a good time to broadcast again by change the location and date from Saturday 14.00-16.00 at Imperial Ladprao to Sunday 15:30 to 16:30 at Rangsit stadium of Amnuay Gesbamrung. The first match is on Sunday, 20 July, and change the fight time faster at 14:30 to 16:30 am, then change to be 15.30 with publish a statement and officially confirmed today (Thursday, 17 July ) around 14.00 at Rangsit Muay Thai Stadium. “Muay Thai staff has traveled to the Boxing stadium by change many things In order to be ready for the live broadcast on Channel 11, which we familiar to the live. Although we stop to broadcast in the while so we need to be adjusted something. I confirmed and expressed the confidence that the Muay Thai fans were not disappointed. Our stadium is ready very much” Rangsit stadium owner said.